The United States says it intends to withdraw from the 192-country Universal Postal Union (UPU), an agency that governs international postal rates, the White House announced on Oct. 17. The yearlong withdrawal process was set in motion via a letter of denunciation served in Switzerland on the same day. During the process, the Trump administration hopes to renegotiate a shipping arrangement that is causing $300 million in annual losses to the U.S. postal system, hurting American manufacturers, and facilitating the shipment of counterfeit goods and narcotics, according to a senior White House official. “If negotiations are successful, the Administration is prepared to rescind the notice of withdrawal and remain in the UPU,” Sarah Sanders, the White House press secretary, said in a statement. A spokesman for the UPU told The Epoch Times that a statement from the agency is forthcoming. Under the current agreement, the United States Postal Service (USPS) charges foreign shippers a subsidized rate determined by the UPU to complete the last leg of shipments for light packages arriving at U.S. ports. For example, a Chinese merchant pays $1.40 to ship a counterfeit mug from China to the United States, while a U.S. company producing the original mug is paying four times the amount to ship the package domestically. While Chinese shipments account for a large portion of the problem, other countries are benefiting from it as well, including Singapore and several European countries. The United States isn’t the only country hurting from the arrangement. Australia, New Zealand, Iceland, Denmark, Norway, and Sweden have all voiced similar concerns. “This is not a China issue, per se, it is a situation where people are getting hurt in this country by an unfair system,” a senior White House official told reporters. President Donald Trump demanded action on the issue shortly after learning about it, the official added. Administration officials raced to negotiate a solution, but the White House was forced to act unilaterally after being rebuffed by other UPU members. The White House ultimately hopes to stay within the body, but only after securing a complete fix to the current rates for light packages weighing 4.4 pounds or less, the official said. Trump ordered the State Department to produce a report on international shipment issues in August. The White House announced on Oct. 17 that Trump received the report, which concluded “that sufficient progress has not been made” in reforming the terms of the UPU, which is part of the United Nations. The State Department recommended that USPS start charging self-declared dues for foreign packages. No immediate changes are expected, but the White House set a Jan. 1, 2020, deadline to enact the change. Half of all internet commerce originates from China. Even as the world’s second-largest economy, Beijing enjoys UPU rates reserved for developing nations like Cuba and Gabon, and the subsidy is one-sided. While it costs a Chinese company $1 to ship a mug to America, it would cost an American merchant $22 to ship the same mug to China. The issue is exacerbated by the explosive growth of third-party marketplaces such as Amazon, eBay, and Alibaba. One merchant from Hong Kong is selling a four-pack of AAA batteries on eBay for $1.99, including shipping, while unfathomable discounts of similar nature are available for a broad range of products. The UPU was established in 1874 and is headquartered in Bern, Switzerland. The United States began raising concerns with the UPU, during the administration of President Ronald Reagan in 1986. USPS estimates its annual losses from the subsidized light packages to be $300 million. 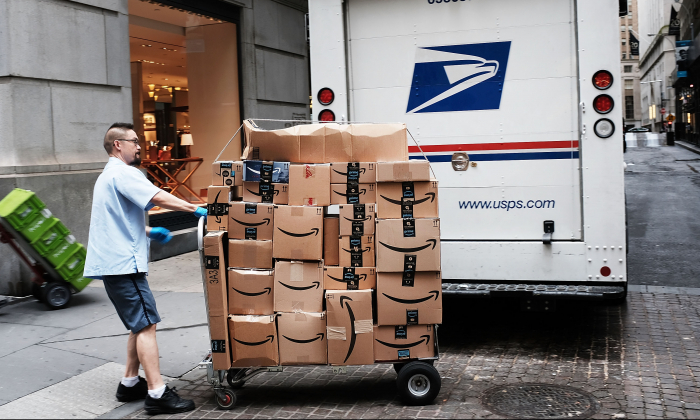 To make up for the losses, the carrier has raised rates for packages sent from the United States, imposing those costs on American consumers and businesses. The subsidized rates have facilitated the shipment of fentanyl and other narcotics into the United States, according to the senior administration official. Trump administration officials conducted due diligence with several other agencies ahead of the withdrawal. In September, a U.S. delegation traveled to Ethiopia in a final bid to negotiate a solution. The agency was on notice that Washington would withdraw if the delegation’s efforts were rebuffed. “We were dealing with a multilateral organization–one vote out of 193–we didn’t get fairness and so this administration is taking unilateral action,” the official said. UPU Director General Bishar A. Hussein said he regretted Washington’s decision and would seek to meet U.S. representatives to discuss the matter further. “The UPU remains committed to attainment of the noble aims of international collaboration by working with all its 192 member countries to ensure that the treaty best serves everyone,” Hussein said in a statement.